For the San Sebastian part of our trip we wanted to be near the old town (for all the wonderful pintxo bars), but not necessarily in the old town (due to noise). 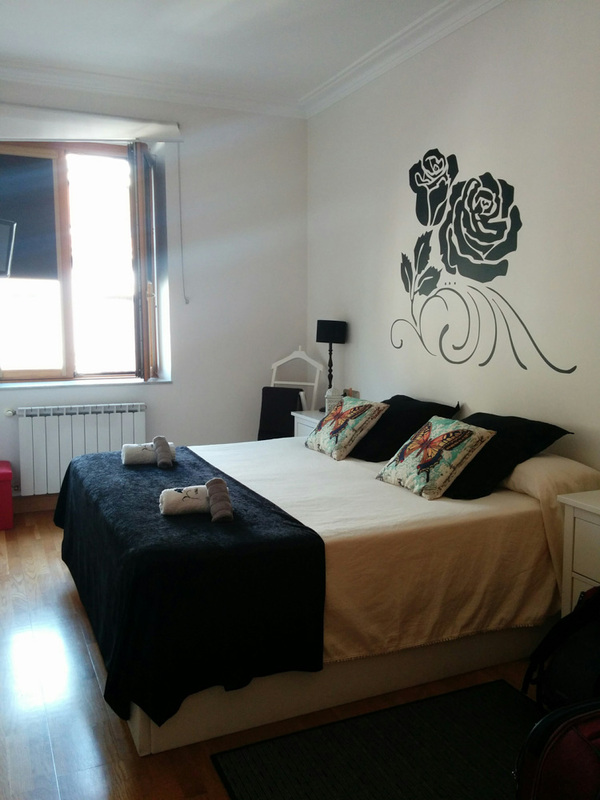 We eventually found El Concha Centro, a one-bedroom apartment with a great location – a five minute walk to the beach, five minute walk into Old Town, and surrounded by shopping! The owner met us promptly out front and showed us how to work all of the appliances. She even sat down with us and recommended several museums, sites, and best spots for good eats. 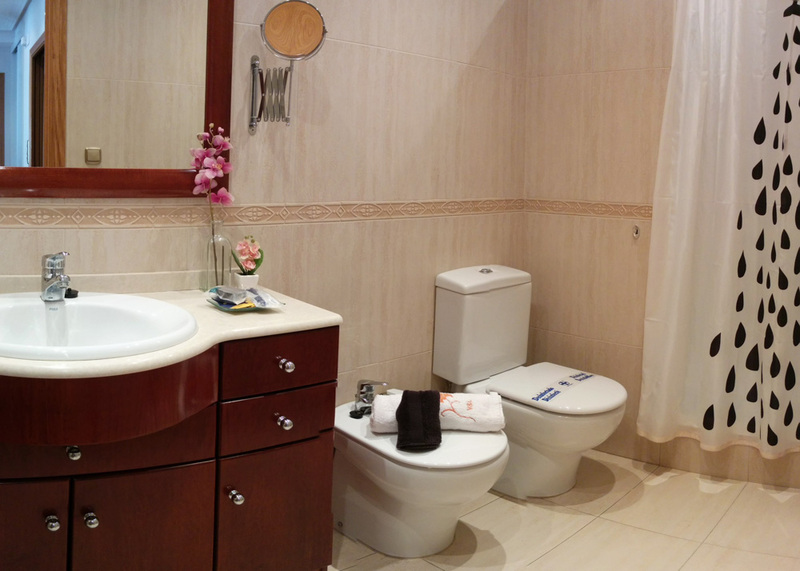 The bedroom was comfortable and the huge bathroom had everything we needed. The only downside was the lack of air conditioning, which normally isn’t a problem except that during the two days we were in town there was a heat wave and temps rose into the mid-80sF. Thankfully there was a box fan, so we moved it from bedroom to living room as needed, but this was just a bit of bad luck as we found the place charming and perfect for our stay.